Works for Conquested, at Temple Bar Gallery Dublin and offsite locations, Ireland. 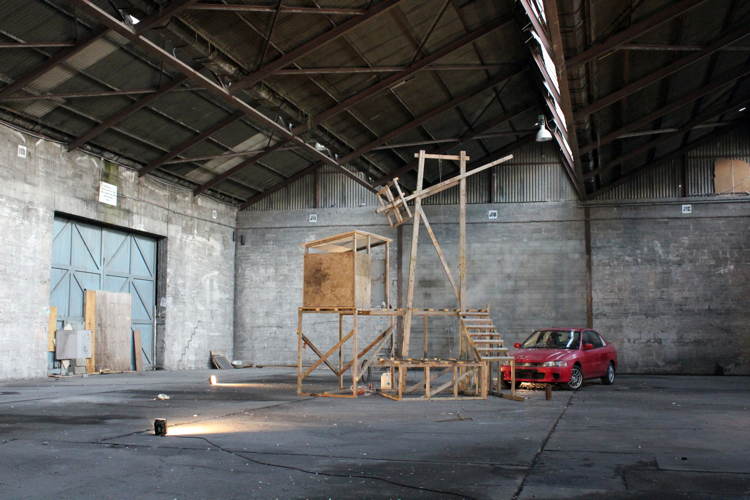 C C R (Cargo Cult Racer) is a work involving three parts made for Conquested, a group exhibition curated by Aoife Tunny. 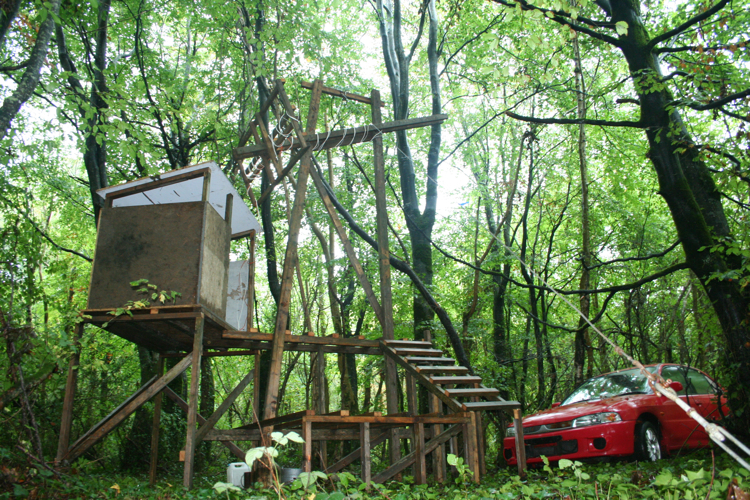 Structure powered by car in woods, North Offaly, Ireland. HD video screening of structure and car, Temple Bar Gallery, Dublin. Camera and production by Alex Synge. 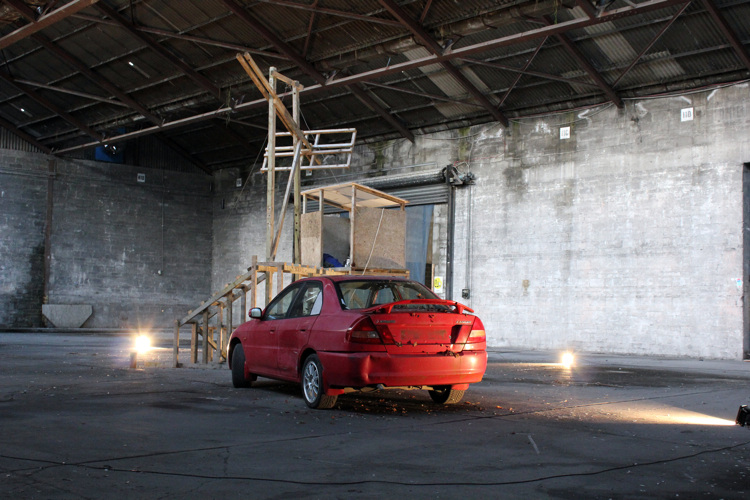 Structure and car transported to a factory warehouse for inspection, Dublin Docklands.